The Efutu (also called Awutu or Simpafo) are an Akanized Guang people that are the original inhabitants of present-day Ghana. They founded the coastal area about 1390 C.E. The Efutu are found in Awutu, Adina, Senya-Beraku and Winneba (originally called Simpa) and their main occupation is fishing. Like most Guans, they were some what absorbed into the greater Akan culture and adopted Akan names via annexing and military campaigns as the Akan were natural warriors. Similar to the Akuapem people of the Eastern Region of Ghana who are ruled by an Akan Abusua (called the Asona clan) but was originally ruled by their own Guan kings. They also have adopted (with modifications) the Fante version of some Akan institutions and the use of some Fante words in their rituals. Before Akanization, the Simpa Kingdom was formed about 1400 AD. The famous king of the Efutus is Omanhene Nana Kwasi Gyan Ghartey I(1666-1712, the 1st to bear the Akan Omanhene title). He was famous for his fishing activities, had as many as 12 wives, and had more than six children with each wife. He helped to develop the town and its people by building various structures, including the police station, the secondary school, and all the major huge buildings in the town. The Efutu celebrate the Akumesi Festival (with the exception of Winneba which celebrates the Aboakyir Festival). The Akumesi Festival, which is similar to the Homowo of the Ga-Adangmes, is celebrated to hoot at hunger. The Aboakyer festival is a bushbuck hunting festival celebrated by the people of Winneba in the Central Region of Ghana. The name Aboakyer translates as ‘hunting for game or animal’ in Fante dialect as spoken by the people of the Central region. The institution of the festival was to commemorate the migration of the Simpafo(the aboriginal name of the people of Winneba). The people believed that a god, who they called Penkye Otu, had protected them from all dangers during their migration and to show their appreciation, the people consulted the custodian of the god, a traditional priest who acted as an intermediary between the people and the god, to ask the god for its preferred sacrifice. To their astonishment, the god asked for a human sacrifice, someone from the royal family. This sacrifice went on for some years but was later stopped as the people were no longer interested in human sacrifices. A request was made to the god to change the sacrifice type, as they believed that sacrificing royalty could eventually wipe out the royal family. The god in return asked for type of wild cat to be caught alive and presented to it at its shrine. After the presentation, it was to be beheaded as a sacrifice. This was to be done annually in a festival. 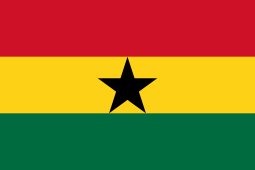 ↑ "Ghana Ethnic Groups: Guan". ↑ "Aboakyer festival". www.pathghana.com. Retrieved 2 December 2011. Meyerowitz, Eva L. R. "A Note on the Origins of Ghana." African Affairs 51.205 (1952): 319-23.